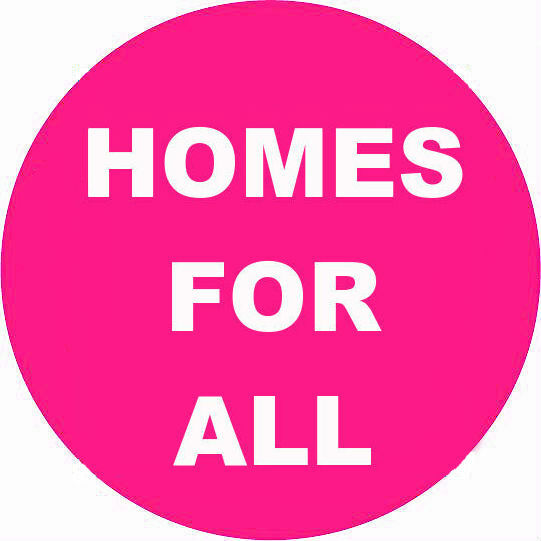 The ‘HOMES FOR ALL – AXE THE ACT’ campaign – formerly the ‘Axe The Housing Act’ campaign and before that the ‘Kill The Housing Bill’ campaign – was started in late 2015 to bring together campaigners, groups, trade unions and anyone who wants to fight the current Conservative Governments Housing & Planning Act 2016. Now with the act party stalled, in summer 2017 we renamed ourselves to take on wider housing issues. 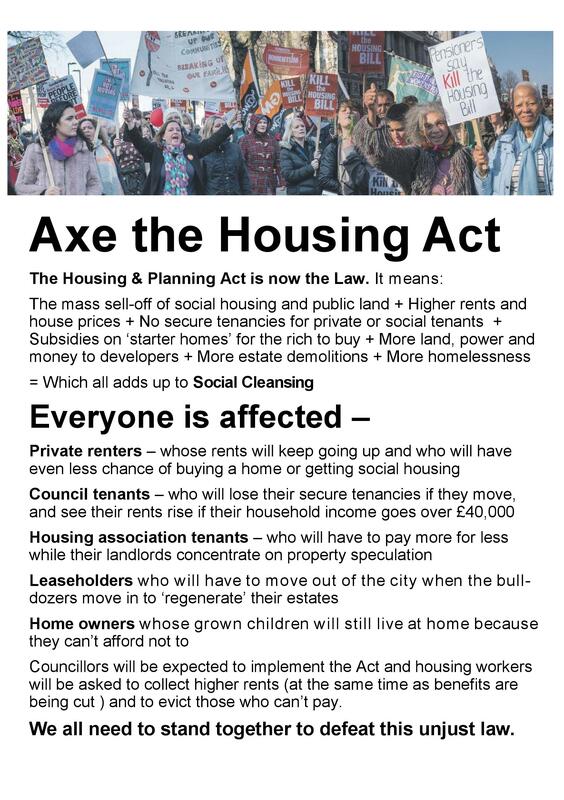 The Housing and Planning Act is a threat to all who need housing. The Act will mean fewer homes with rents people can genuinely afford, the selling off of council and housing association homes with no like for like replacements, the redevelopment of council estates meaning longer housing waiting lists and more homelessness. The Act proposes both the end of lifetime secure social housing tenancies and the introduction of a ‘Pay To Stay’ tenant tax. Unite the Union Housing Branch, Defend Council Housing, The Radical Housing Network, The Lambeth Housing Activists.